Capintec’s CAP-RAD Smart Area Monitor is network ready, with a large easy to read display. Designed for medical, industrial, and research facilities, the system can be accessed remotely by any PC or mobile device connected to your network. 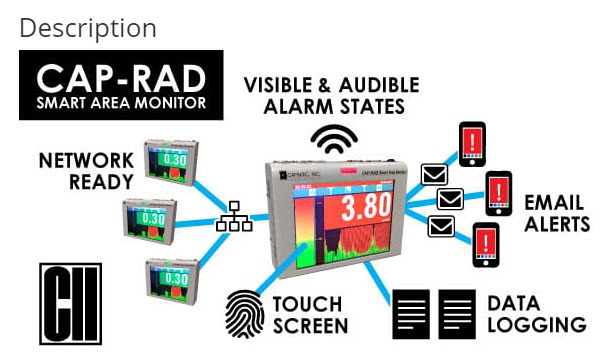 The system includes the RAD MON Monitoring software for remote viewing and analysis. The program automatically monitors multiple units via network scan. Alarm states can also be communicated remotely through the networked software program, or via email directly to your safety officer.